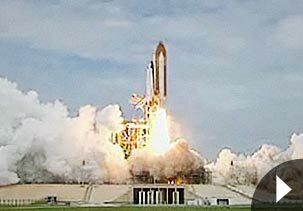 GOD SPEED ATLANTIS - A SUCCESSFUL LAUNCH & END OF AN ERA! Every angle available was used for viewing the launch! This was taken in our rally lot! Residents & guests viewing the launch from our golf range. Thankfully the clouds parted for just a short period! We are all elated and sad at the same time as the shuttle program comes to a close after 30 years. Kennedy Space Center will continue as a top-rated attraction so that you can view the history of the space program, both past and future! The Great Outdoors RV/Golf Resort continues to welcome RV'ers to the area, where we are just a short distance from all of central Florida's main attractions, and minutes away from the Space Center, Daytona Beach & the International Speedway, not to mention miles of natural beaches! Spend the summer with us - our summer rates continue with our special Stay 2 Nights, Get the 3rd Night Free! Call us a 800-621-2267 for more information on RV rental sites and rates!